Home » Columns » Community In Focus » Solidarity Generates Generosity – NOBODY Fights Alone. Solidarity Generates Generosity – NOBODY Fights Alone. A smile, a hopeful look, a gesture full of gratitude. A happy heart before an act embodying one of the noblest sentiments, known by the name: solidarity. 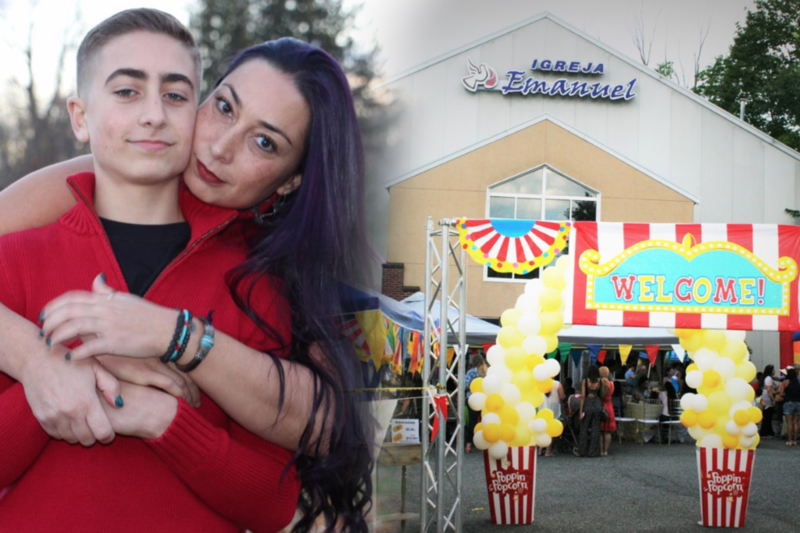 It was with this feeling that the Brazilian communities of Danbury and Bridgeport joined forces and organized a fundraising Festa Junina (hillbilly party), a typical Brazilian party, on July 17 at the Emanuel Church in Danbury. The event was actualized by a team of volunteers driven by solidarity, doing good deeds without expecting anything in return. You know those fantastic stories of people who are devoted to help others, and often they are people that they have never seen before? The story of Sean Cleary, a 14-year-old football and CrossFit player, touched many people. “My hands feel tied for being unable to do anything for Sean,” said Tatiane Reinert, a friend of Patricia, Sean’s mother. Fabiane Colere, who did not initially know Patricia and Sean, got in touch with Reinert and together, they decided to ask for donations to help Sean. In late May, Sean was practicing and heard a pop in his left leg. “We did not give it much importance; I thought it was some injury related to sports. We waited a month, hoping that it would improve on its own, which never happened,” said Sean’s mother. On June 1, after a long day of running activities, the pain became worse and Sean was taken to Yale Children’s Hospital. “The X-rays showed an abnormal mass that would have eroded the femur,” explained Patricia. After tests and biopsies, Sean was diagnosed with Ewing’s Sarcoma, a primary and infrequent bone cancer, more common in childhood. According to the American Society of Clinical Oncology, each year, 225 children and adolescents in the United States are diagnosed with Ewing’s tumor. Most often, symptoms include pain and swelling in developing bones (long, flat), also observed in the pelvic area, followed by the femur (thigh), the tibia (leg) and the humerus (upper arm). “It is very common for this type of cancer to spread to other bones. In Sean’s case, we are lucky that it did not spread,” said Patricia, who added, “The surgery to remove the tumor and replace the femur will be held this month.” The treatment involves chemotherapy, followed by surgery or radiation. “The treatment takes 8 to 12 months, and Sean is expected to fully recover,” concluded Patricia. Donations to help pay for Sean’s treatment should be made through the link https://www.gofundme.com/nuamuwgs. It is a fundraiser designed to raise money in an attempt to help defray the costs of medical treatment, supplies and hospital bills. Equally important, however, are our positive thoughts and prayers for Sean and his mother Patricia.